With each site saving an average of almost £24k per annum, registering for Climate Change Levy tax relief seems obvious — but if companies do not register before 29 June 2018, they may miss out on this opportunity forever. BPF Energy Technical Director, Peter Haslop, explains. Currently, over 400 UK plastics companies are not claiming up to 90 percent Climate Change Levy (CCL) tax relief on their energy bills, which is done by entering into a Climate Change Agreement (CCA). This is despite CCAs being around for 16 years, following the introduction of a CCL (Energy Tax) in the Finance Act 2000. At that time, the plastics industry was not included in the initial list of sectors considered for an umbrella agreement due to the restrictive emissions rules governing entry. After three years of intensive discussions at both a UK and EU level, and a change in legislation in 2006, the plastics sector achieved an umbrella agreement in October 2009, which allowed plastics companies to enter into a CCA. This late start for the plastics sector unfortunately meant that many companies were left in the dark about the undeniable benefits after the initial campaign. Before October 2009, there were only two ways that plastics companies could potentially decrease their energy costs: via the Packaging and Industrial Film Association (PIFA) or via the Non Ferrous Alliance (NFA) for processes still using lead. But since the launch of the plastics sector umbrella agreement, things have gone from strength to strength. We can now boast that we have over 425 agreements in place, including those for both the plastics sector and PIFA. 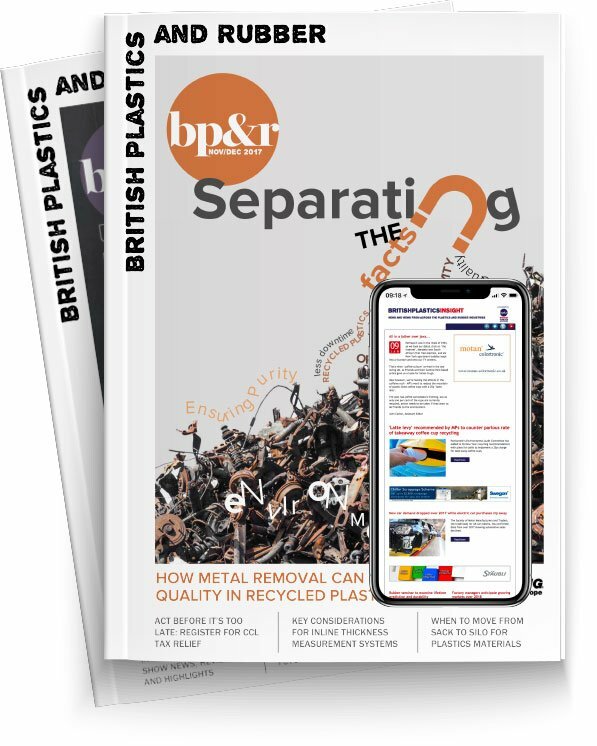 This is a significant achievement in such a short space of time, but there are still hundreds of plastics companies that could benefit from entering into a CCA. Plastic sector CCA schemes have been responsible for saving thousands of tonnes of CO2 emissions and millions of pounds on energy bills. To date, the sector as a whole has saved over £10m — and the CCL savings are set to increase further. A recent review of energy taxes operational in the UK revealed a complex web of obligations, desperately in need of rationalisation. Part of this rationalisation saw the official disbandment of the Carbon Reduction Commitment (CRC) scheme from the end of the 2018-2019 compliance year. To compensate for the loss of this revenue, the government intends to increase the rates of the CCL from 1 April 2019 to a proposed 0.847p/kWh for electricity and 0.339p/kWh for Gas. The government has also committed to increase the discounts available to members of the CCAs, so that the cost to industry will be neutral. The CCL discount for electricity will increase from 90 percent to 93 percent and the discount for gas will increase from 65 percent to 78 percent. Additionally, the government will retain the existing eligibility criteria for participation in CCA schemes until at least 2023. Considering these important changes, coupled with the fast approaching deadline for new entrants, effectively CCL-paying businesses have just seven months left to join the scheme to avoid paying CCL tax at the new higher rate for four years, with no chance of avoidance. Sectors subject to agreements have made — and are still making — energy efficiencies and emissions reductions based on sector targets. The negotiation of agreements and the development of monitoring regimes to measure progress against the agreement reduction targets have raised the awareness of the potential for energy efficiencies. In many cases, these efficiencies have been put into place. Initially, during phase one, not all agreement targets were stringent and the scheme received some criticism as to its viability — but early overachievement against the reduction targets was the result of genuinely significant improvements in efficiency as much as weak targets. The continuation of CCAs into phase two, which started 1 April 2013, saw the introduction of a target reduction ‘stringency test’, which has had the effect of levelling the playing field across all the sectors for new entrants. If you are wondering whether your company is eligible to enter into a CCA, the answer is almost certainly ‘yes’. Generally speaking, if a company is spending £100,000 or more per annum on energy, it is highly likely to reduce its costs under a CCA — and if your company processes polymers using heat and pressure or through a chemical reaction, the scheme is applicable. When CCAs were first established, eligibility depended upon whether a business was operating processes already covered by the EU Integrated Pollution, Prevention and Control (IPPC) Directive. From January 2006 (following state aid approval from the European Commission), the eligibility criteria was expanded to include a definition based on Energy Intensity (EI), as defined in the EU Energy Products Directive. This effectively opened the door for the plastics sector to negotiate an umbrella agreement to run alongside the existing Packaging and Industrial Film Association (PIFA) agreement, with very little restrictions about what companies within the plastics sector were eligible to enter into a CCA. To earn a reduced levy rate, emissions targets are calculated from a base year ‘Specific Energy Consumption’, usually measured in kWh/kg. At the end of each target period, of which there are four in phase two spread over an eight-year period, performance is measured and any shortfall is calculated in tonnes of CO2. If there is a shortfall, it has to be bought and paid to the governement at £14 per tonne to enable a company to stay in the scheme and continue to receive a reduced levy rate. The overall aim of the scheme is to raise awareness amongst industry while helping to reduce emissions by setting achievable reduction targets that can easily be incorporated into a company’s energy reduction plan. Check your monthly energy invoices and, if the total levy charge for all fuels is greater than or close to £500 per month, then you should consider entering into a CCA. It is worth noting that the CCL increases every year with the announcement of the chancellor’s budget. The following table indicates how the levy will increase over the next three years, with a sharp increase in April 2019 to compensate for the loss of income from the closure of the CRC. If you are interested in benefiting form a CCA, the clock is ticking. The closing date for new entrants is 29 June 2018. If you miss this deadline you will have to wait until 2023 for the start of a new scheme or phase three of the CCA scheme. For the plastics sector — from now until the end of the current scheme in 2023 — the average total levy paid on energy bills without a CCA in place is around £290,000. When so much can be saved through a combination of energy efficiencies and a CCL reduction, can you really afford not to act?